So cute!! 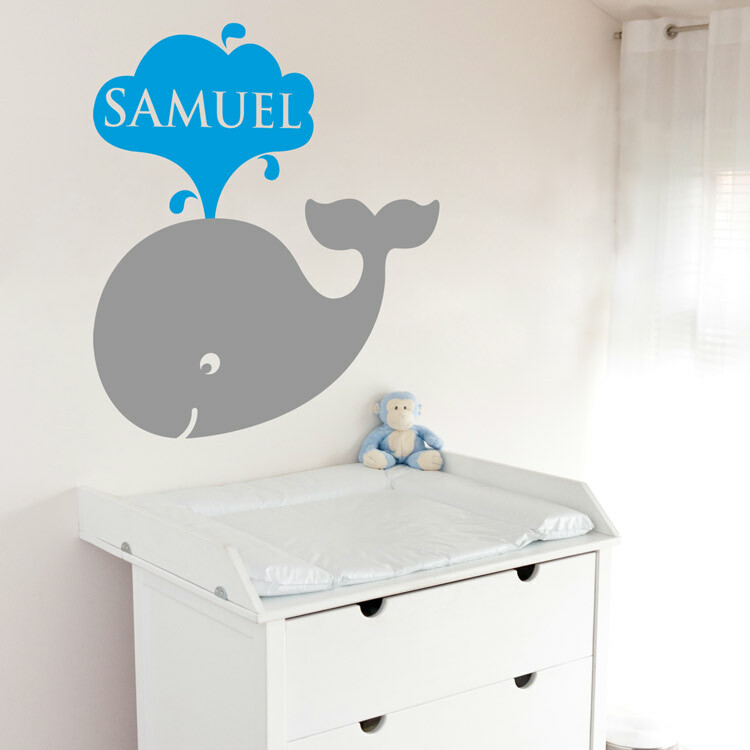 We love our Cute Whale with a Water Spout monogram decal! This sweet little guy comes in your choice of two colors, and can be personalized with the name of your choice, as well! Our wall decals are ideal for bedrooms, offices, living rooms, entryways, classrooms, your laptop, refrigerator, mirrors, and even your car or glass shower doors! The Large version (pictured) of this personalized monogram wall decal measures 36.5 inches wide by 38 inches high, as shown. Colors shown - Water Spout is Ocean Blue Matte, Whale is Middle Grey Matte. Optional monogrammed name will be made to fit inside the water spout. 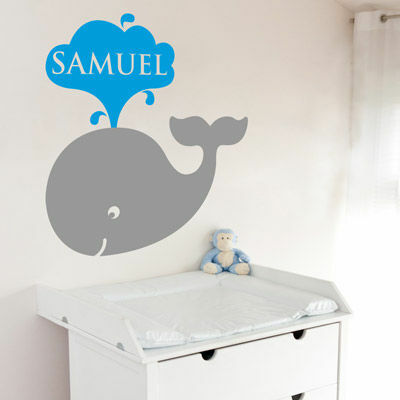 Both sizes of this wall decal comes in two sections for easier application. Several weeks back I had the opportunity to work with one of your employees on a custom decal. Since then I replaced the hard-drive on my computer, so I lost all of our email correspondences. This means I don't remember her name. For some reason Marisa comes to mind. Anyway, I'm just sending this much overdue email to compliment both Marisa and Dali on the decal I received. I've ordered decals previously from you and was so happy with them that I got the idea to do something custom for my master bedroom. Whenever I show it to family and friends they're highly impressed with it. The fonts that were suggested to me really gave the decal a personal touch, and Marisa was so patient with me while we were working on what the decal would say. I'm so glad I found you guys and have gladly told several of my friends where and how I got my decals.